@rori0711 haha shotgun wedding ... Cheers to that. Though I wonder why tVn edit the bts and in the new clip cut the hand caressing and PSH running in to the church? @hyuuhikari @wdsayang Im sorry no one can beat KRW in Doctors...that helicopter reunion scene was iconic. I believe he adlib those lines as well...is that what I read in the Doctors thread ? hahaha! Let me apply it to HJ and JW..
Ji-Hong/ JW: Are you married yet? Ji-Hong/JW: Do you have a boyfriend? Ji-Hong/ JW: (Dimple smile) Then we’re all set. Smiling they both walk towards each other. JW wraps his arms around HJ for a lovingly embrace. He pulls away and looks deeply into her eyes, cupping her face with one hand and whispers "Thank you for believing me" and kiss. I love JW-HJ-Sec Seo combo. They reminds me of beautiful Granada. Gosh, HB in doctor's suit?! Just imagining it makes me drool and PSH as cold bloodied assasin? @rori0711 Just wondering were comments that bad that they had to delete it and re-upload another one? If anything that tVn YT and IG would be a great platform for people to raise anger/ distaste over the ending and targeting both SJJ and PDnim too. I love these BTS vids as well...here's the last one of all the casts giving their thanks to all whom supported them. Well Done MOA casts!!! @hyuuhikari if only we have talented fanfic writers...sigh. the feeling's mutual honey, Yay! we can change our DP!!! Below are 2 official posters, I think the right side is the one where they shot with blank background. tvN’s upcoming drama “Memories of the Alhambra” is gearing up for its premiere with a new sneak peek of stars Hyun Bin and Park Shin Hye! “Memories of the Alhambra” is a new “suspense-romance” drama starring Hyun Bin as Yoo Jin Woo, a brilliant investment firm CEO who travels to Spain on business and ends up staying at an old hostel in Granada. The drama will also star Park Shin Hye as Jung Hee Joo, the hard-working owner of the hostel, who once dreamed of becoming an accomplished classical guitarist before the unexpected death of her parents forced her to become the breadwinner of her family. Not only will “Memories of the Alhambra” captivate viewers with the mysterious events that occur at Jung Hee Joo’s hostel, but it will also sweep them off their feet with the magical romance that develops between its two leads. 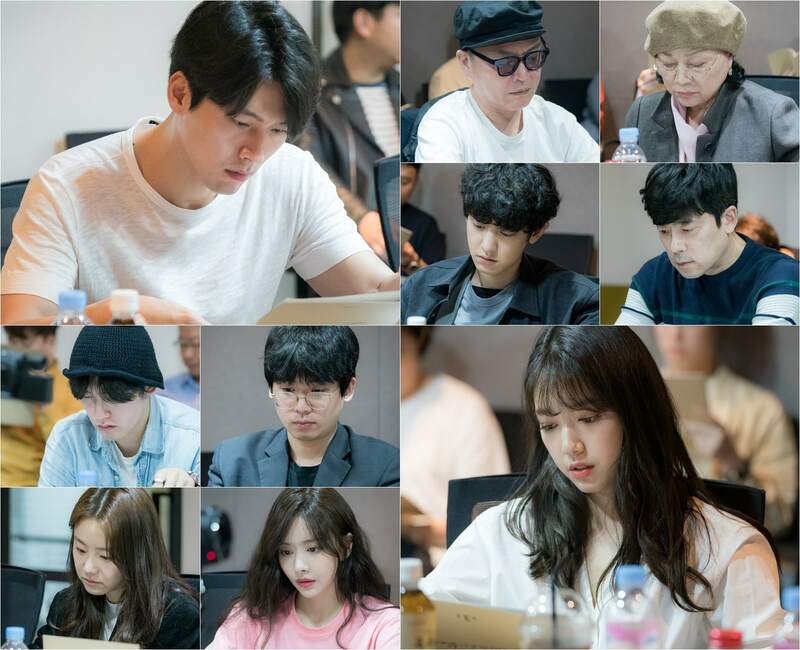 Written by Song Jae Jung, the writer behind the popular dramas “W” and “Nine: 9 Times Time Travel,” “Memories of the Alhambra” promises to deliver an enchanting love story with﻿ a similarly unique premise and an engaging plot. “Memories of the Alhambra” will keep viewers on their toes by switching back and forth between lighthearted rom-com and emotional melodrama. Additionally, by exploring its characters’ different sides in depth, the drama will flesh them out and bring them to life as realistic, three-dimensional people. Although both actors have already proven their talents as romantic leads in the past, t﻿heir flawless teamwork reportedly took their performances to new heights. In the meantime, check out the teasers for the drama here!